Many boaters enjoy spending DIY time with their boat. 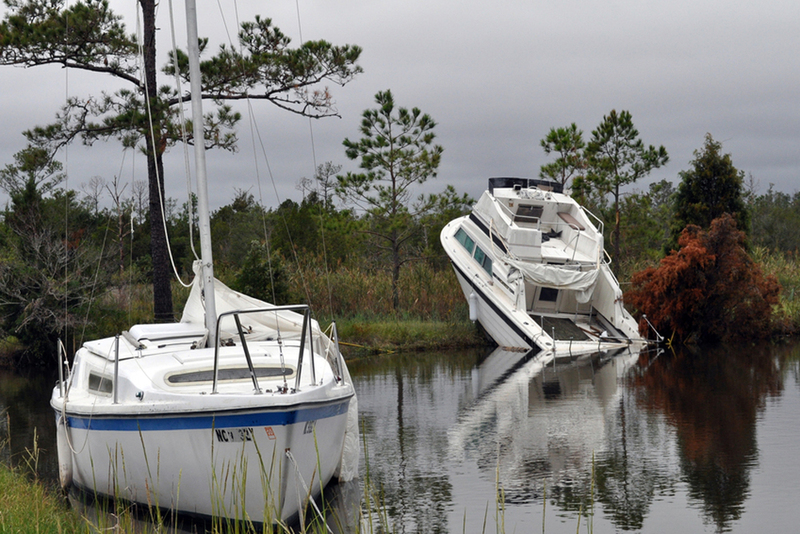 Use these tips, to make your boat repair efforts as effective as possible. Whether you own a high performance powerboat, a houseboat, or anything in-between, you probably plan to spend some DIY boat repair time with your pride and joy. 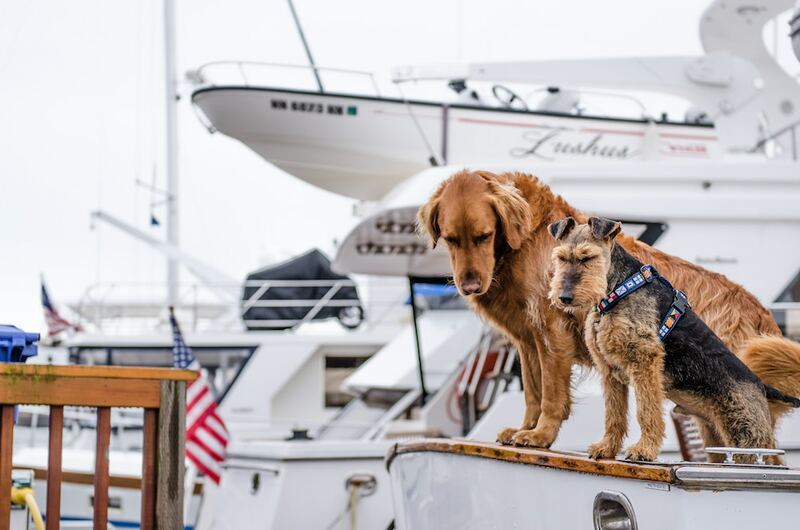 We boaters are a hands-on crowd, and as a general rule of thumb tend to engage in quite a few upgrade, customization, maintenance, and repair tasks. We also, of course, want to spend that time as effectively as possible. So the next time you prepare to get your hands dirty, remember to first check out these DIY boat repair tips. Keeping your boat looking like new is often a top priority, for DIY boaters. These folks are so serious about it, they start washing the boat down before they even get back to the dock. Your boat’s beautiful, shiny gel coat is like its skin. If it has any flaw they catch your eyes immediately, so naturally, you’ll want to repair it as soon as defects become visible. Tip number one: keeping up with regular maintenance tasks like washing and waxing is the most important thing you can do to keep that gel coat looking good. But be sure to read 10 Tips to Keep Gel Coat Gleaming, to get the full scoop on how to best maintain that lustrous sheen. No matter how hard you try to keep up with the cleaning and waxing, however, sooner or later some staining is bound to appear on your boat’s gel coat. Rust streaks or water marks are often the problem, but fortunately, a savvy DIY boater can get stains out of gel cost without too much work. The trick is to get an acid-based gel coat stain remover, which eats the stain away. Rather than using elbow grease (which rarely works with staining) just spray or brush on the cleaner, stand back, and wait. It often takes several minutes, but the staining will slowly disappear. What you do next is critical: be sure to thoroughly rinse away the chemicals. Otherwise the acid can harm the gel coat, any metal fittings it may come into contact with, and even metal items it may drip onto, like a boat trailer. Watch our Getting Tough Stains Out of Gel Coat video, to see the process from start to finish. After several years on the water (or even just sitting in the sun, on dry land) without being maintained gel coat often becomes hazy and dull. In this case restoring it may require the services of a pro. If you’re feeling up to the task, however, and the oxidation isn’t so deep that a heavy-duty buffer and multiple coats of oxidation remover are in order, check out our How to Restore Slightly Faded Gel Coat video. 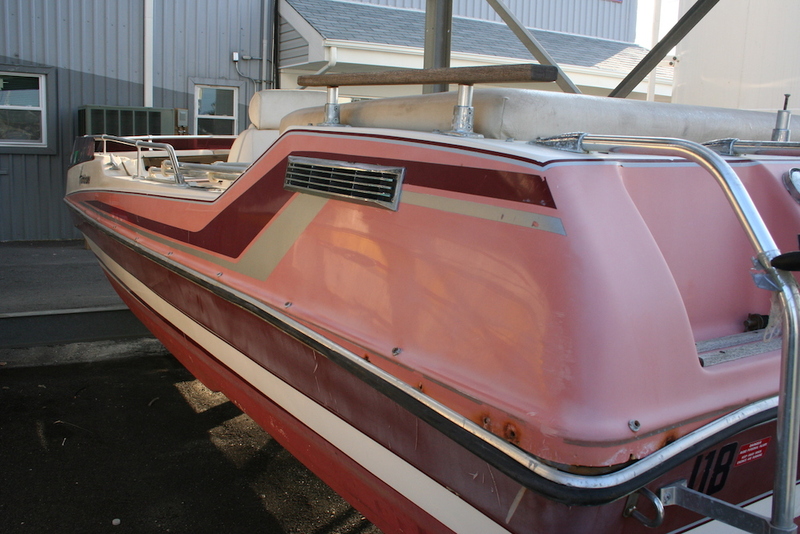 When a boat’s gel coat looks like this, it will take a serious effort to get it shining again. At some point, you may want to consider painting your boat. This is a major task and you’ll need to be prepared to dedicate a lot of time and work to do it yourself. 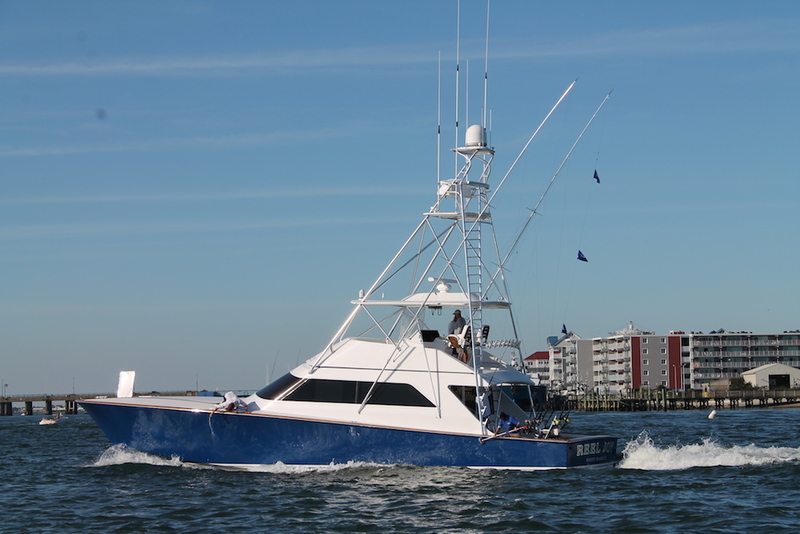 If you still want to move forward with the job, be sure to see our How to Paint a Boat guide, which includes several helpful videos as well as a detailed description of the entire process. One tip we have to add here: focus your efforts on the prep work. No matter how good a job you do painting, the underlaying surface and how well you’ve prepared it will have the biggest impact on the job as a whole. 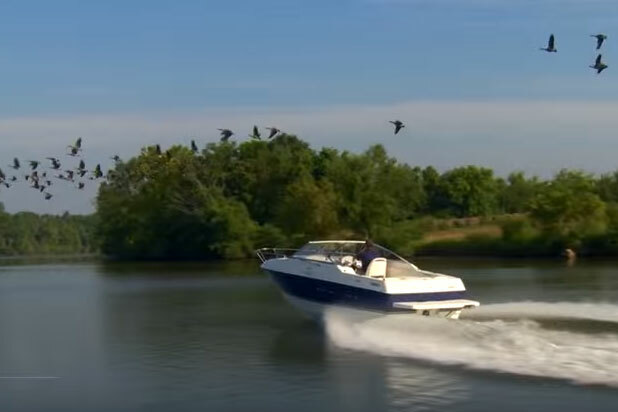 We’re going to start this section off by reminding everyone that these systems are imperative for safe boating, and if you have any doubt in your DIY abilities when it comes to a specific task, don’t try winging it – go to a pro. 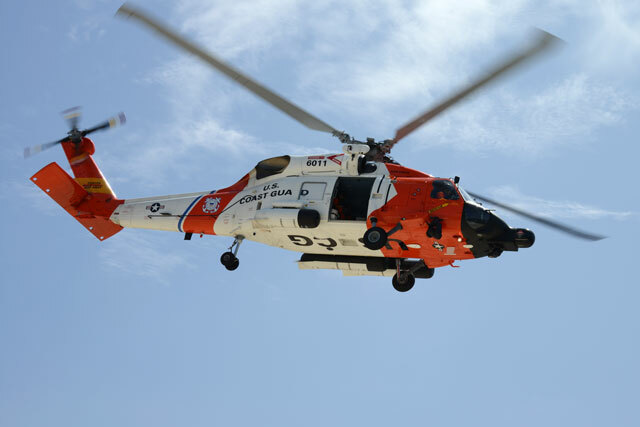 When it comes to propulsion systems, the list of battles you may need to fight is almost too long to list – and is certainly too long to list here. However, we can still give you a few helpful tips that should make life a bit easier. Diesel inboards can be large, complex beasts. Look for smoke in the exhaust to ascertain the nature of any problem you’re having; whether it’s blue, black, or white will tell you a lot about what’s going on inside those iron horses. Diesel Engine Smoke: Blue, Black, or White? When assessing any problem, diagnose the situation systematically and don’t jump to conclusions. 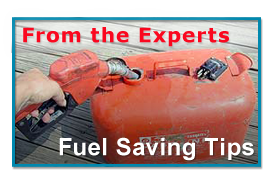 Check out Diesel Engine Repairs: Fuel, Air, Starting, Wiring, to get a read on how to address each potential problem. When overheating is the issue, before doing anything else be sure to check the seacock and intake. If that isn’t the root of the problem (often it is) move on to checking all the items listed out in Diesel Engine Overheating and Charging Repair. Keep your outboard engines running strong and fix it fast, with these DIY repair tips. Replace the water pump impeller regularly, as per the manufacturer’s recommendations. This task is a lot easier than many people think; check out How to Change an Outboard Engine Water Pump Impeller, to see how it’s done. Same goes for oil changes, both in the powerhead (for four-strokes) and in the lower unit (all outboards). Never fear, dear DIY boater, we have videos that will show you how to do each task. Check out How to Change Engine Oil on a Four-Stroke Outboard, and How to Change Lower Unit Oil on a Boat. When oil dilution is an issue, suspect the thermostat. If it’s in need of replacement, watch our How to Change the Thermostat on an Outboard Engine video. There are a number of relatively common but easy-to-fix issues that regularly pop up on all sorts of outboards. Read Five Outboard Engine Quick Fix Tips, to get the low-down on some basic troubleshooting and repairs. Corrosion will appear where paint gets chipped or worn away on an aluminum stern drive, so repair problem spots asap. Repainting My Inboard-Outboard Drive: How Do I Protect the Aluminum explains the process. 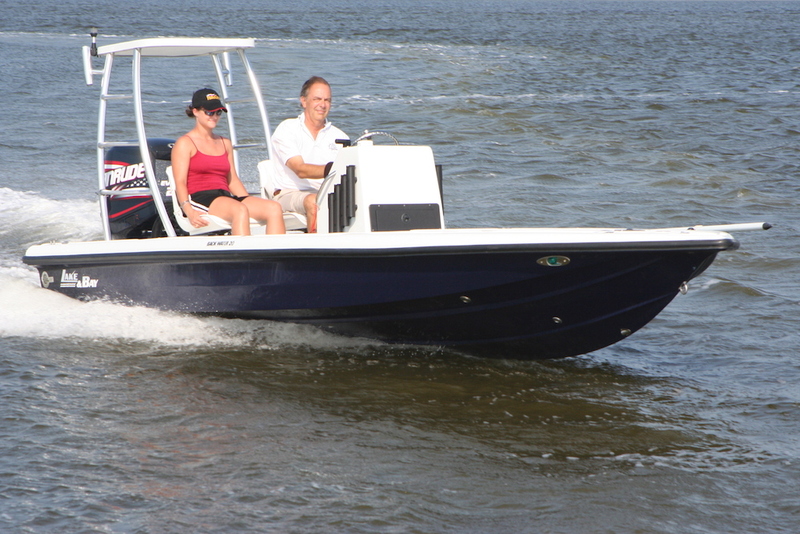 The boot is a major point of concern, with any stern drive boat. Because of its importance – it does, after all, prevent the boat from sinking – we don’t recommend you dive into stern drive boot DIY projects. You do, however, need to give that boot a close DIY inspection on a regular basis. In the case of steering systems, assuming all fluid levels are in the green and cables are in good condition, fixing any difficulty relating to stiffness or a hard-to-turn outboard is likely related to lubrication. Before doing anything else, try hitting any and all Zerk fittings with a grease gun. If that doesn’t do the trick, cleaning out any old grease and re-packing may be necessary; Ed Sherman explains how the task goes on a hydraulic-assist system, in Outboard Steering: Too Stiff? Throttle and shift cables are another area where problems are common. In most cases, it’s the linkages that are to blame. Tightening or adjusting them may do the trick, but if the cables are old don’t spend too much time fussing with the pieces and parts – often replacing them entirely is the best bet. 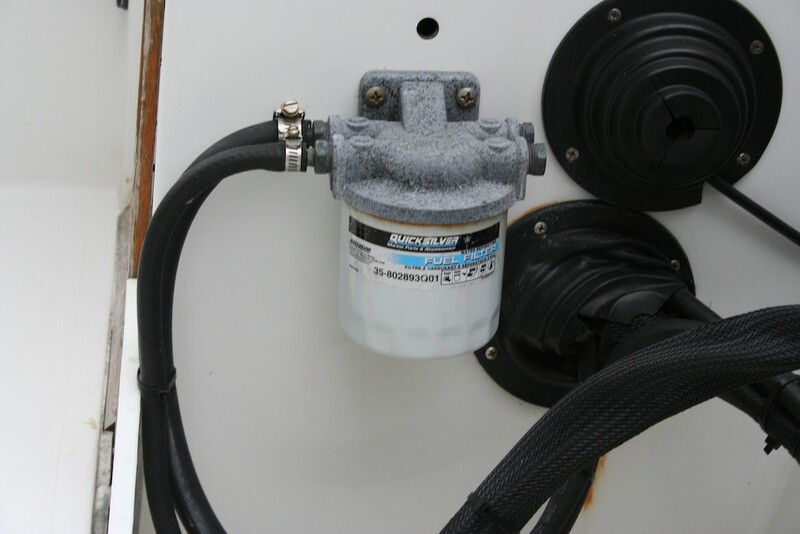 Many simple fuel system repairs, like changing filters, can be handled by just about any DIY boater. Fuel systems need constant care, as well. 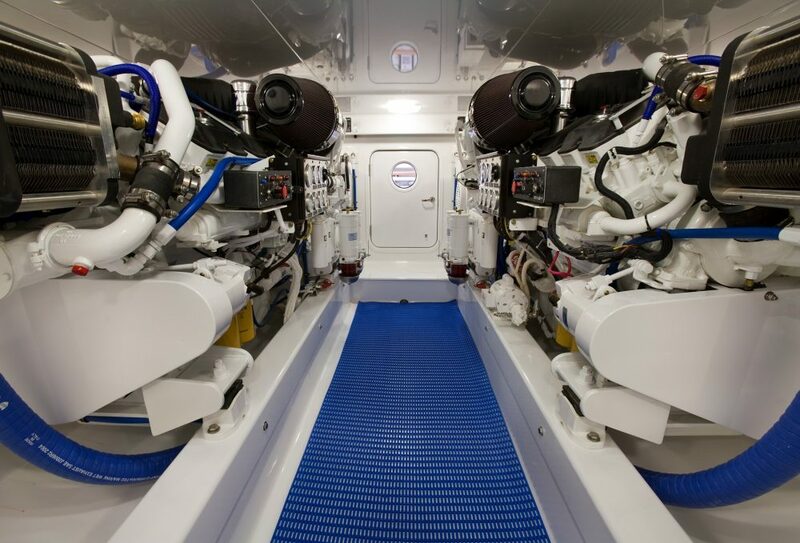 Most of the boat repair jobs related to the fuel system, such as replacing lines or clamps, changing filters, and servicing vents, are fairly easy to handle. 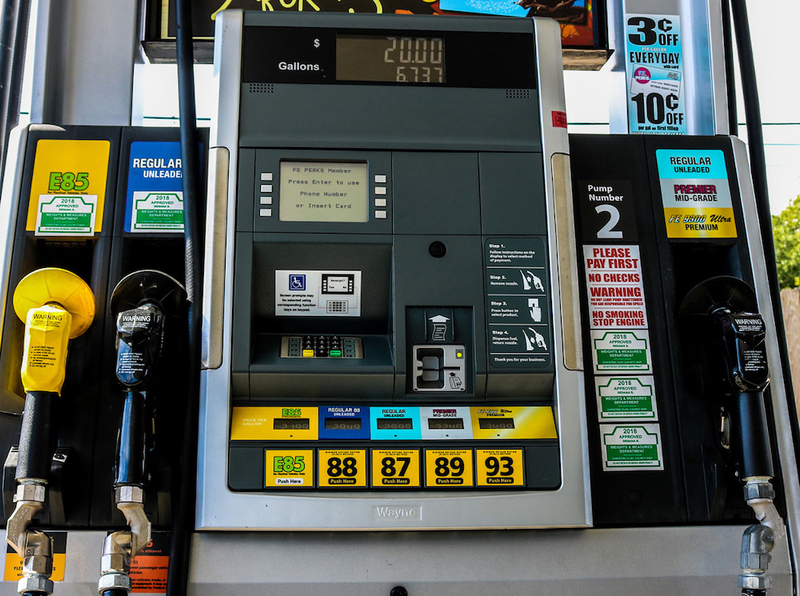 To get a look at each part of the system, check out Modern Gasoline Fuel Systems on Boats. Electrical systems are another major source of heartache on many boats. We advise caution once more when it comes to tackling these issues on a DIY basis. Improper wiring can lead to damaged equipment, or worse, a boat fire. That said, there is a fairly straightforward list of issues that are common and may be addressed without professional help. 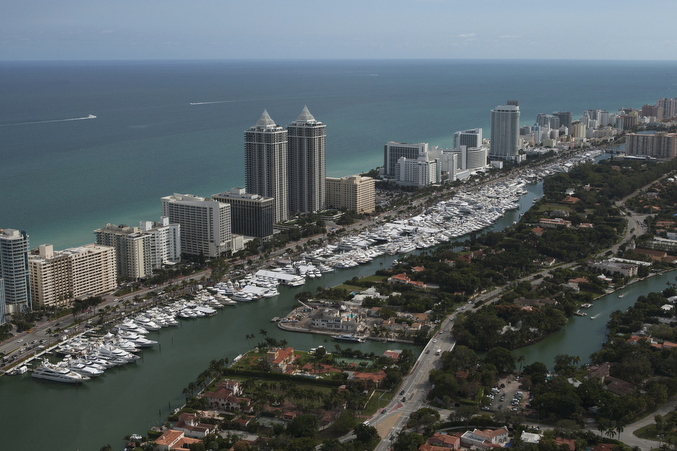 You’ll get the low-down on each, by reading 10 Electrical Problems Every Boater Should Look Out For. Whew! Truth be told, we’ve barely scratched the surface of DIY boat repairs – boats are complex machines which are subjected to constant vibrations in a corrosion-rich environment, and that means that things break and need to be repaired quite frequently. But we do have one final tip for you: keep your eye on boats.com. 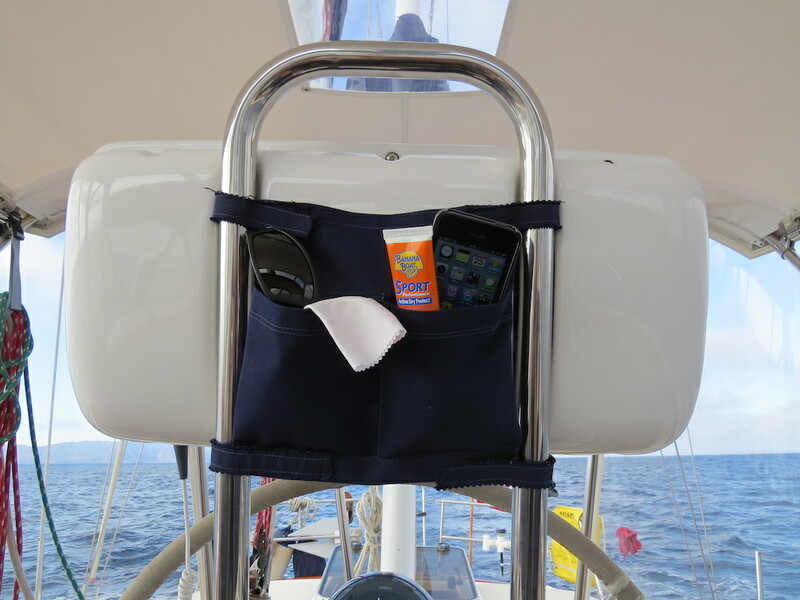 That way you’ll know as more DIY boat repair tips hit the airwaves.